Thursday night Kizomba now in Northbridge! THURSDAY KIZOMBA MIGRATES TO NORTHBRIDGE THIS WINTER!! 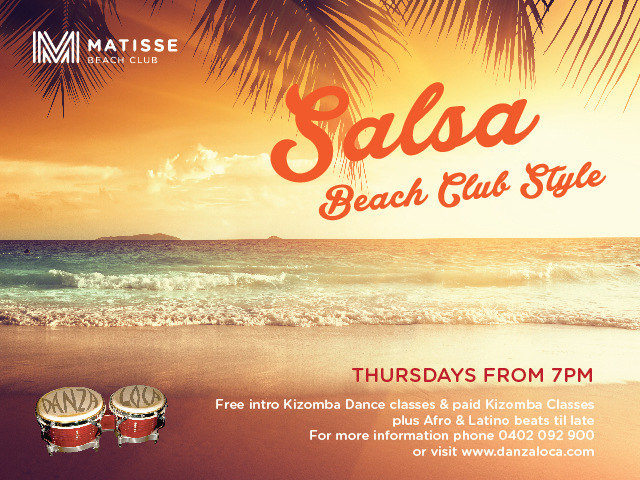 Matisse’s Thursday dance event and Kizomba classes will be moved to the Elephant & Wheelbarrow (Northbridge) until late spring!!! For those of you who’ve found travelling all the way to Scarborough a bit daunting in this weather, come and enjoy our cosy Kizomba atmosphere right in the heart of Northbridge! The class format will remain the same as always, we apologise for any inconvenience Scarborough locals!